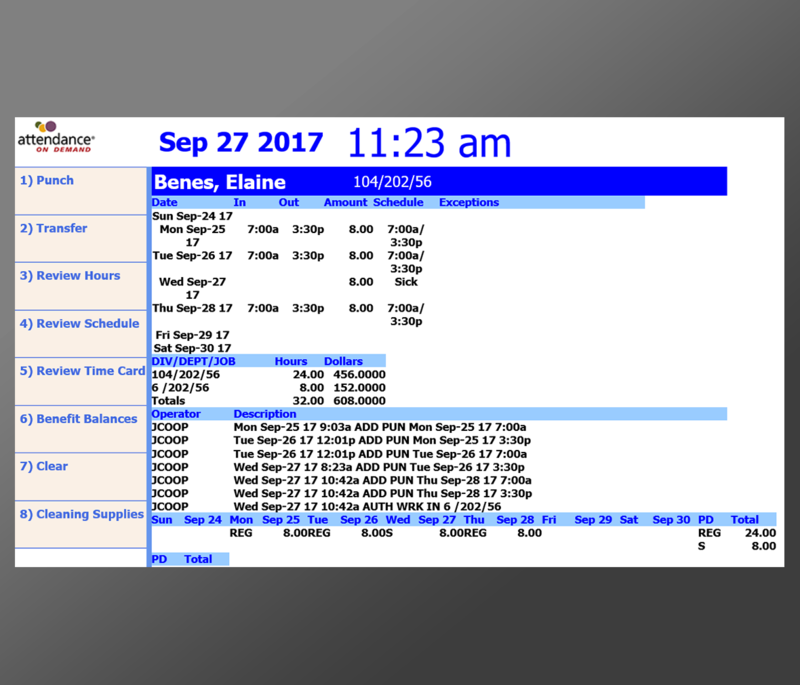 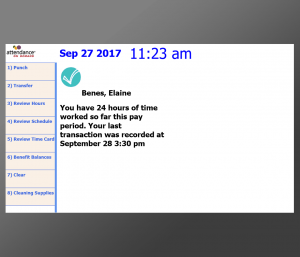 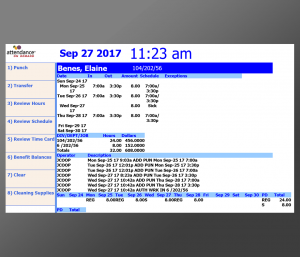 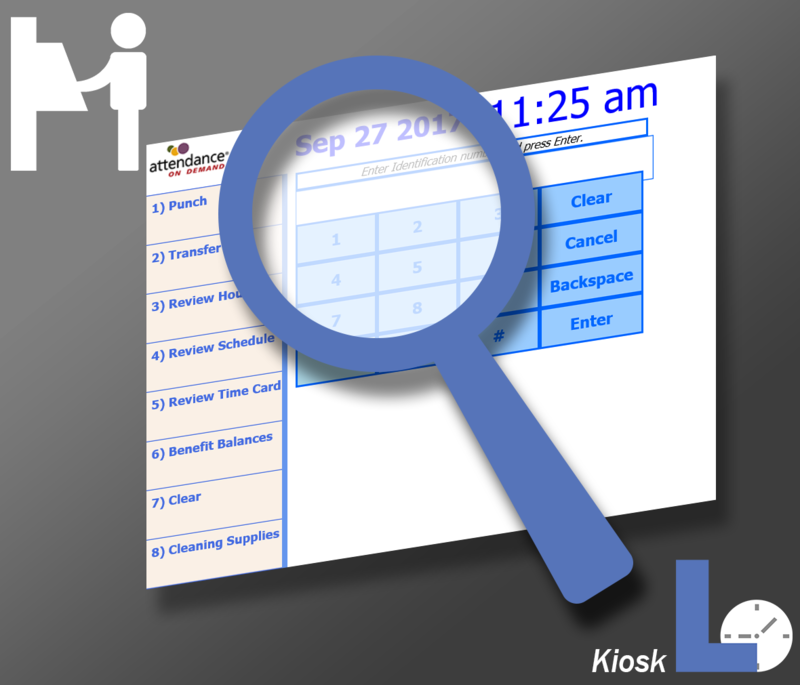 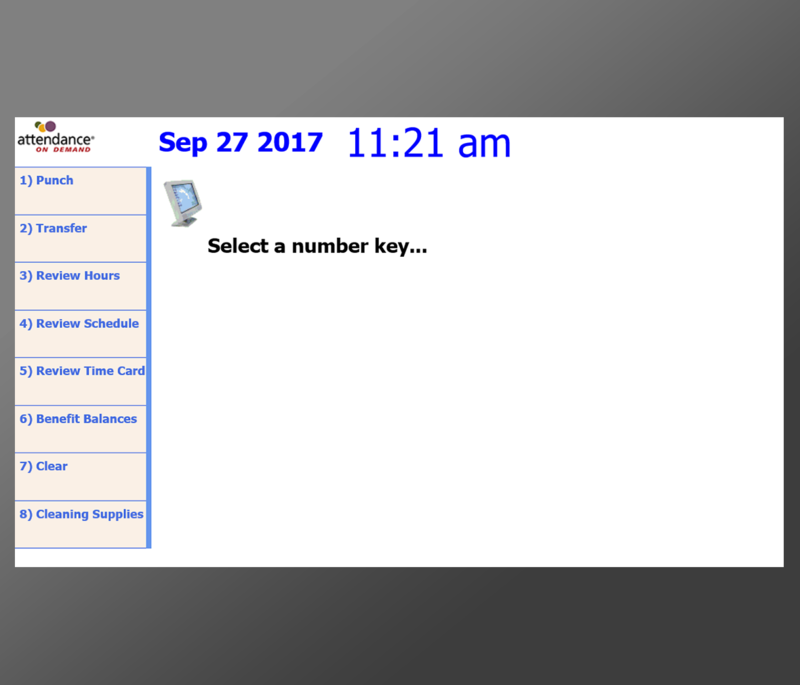 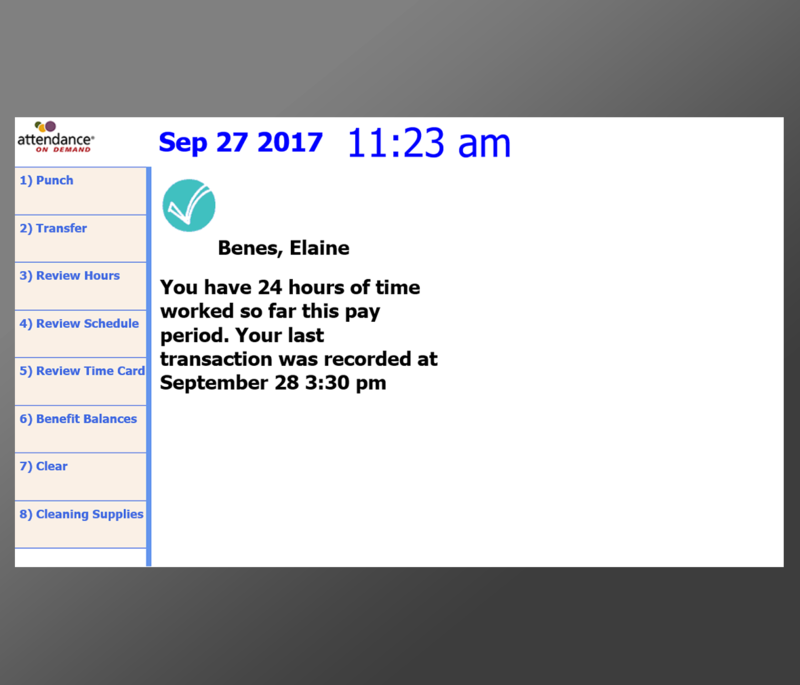 The Employee Kiosk provides a browser-based interface for employee inquiries, viewing time cards and schedules, punching in and out, and other transactions. Kiosks are typically located in common areas, such as lunch rooms. 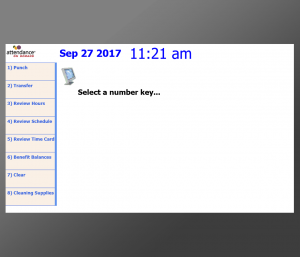 Punch transactions are also available to internet cell phone subscribers, making Attendance Enterprise available to mobile employees. 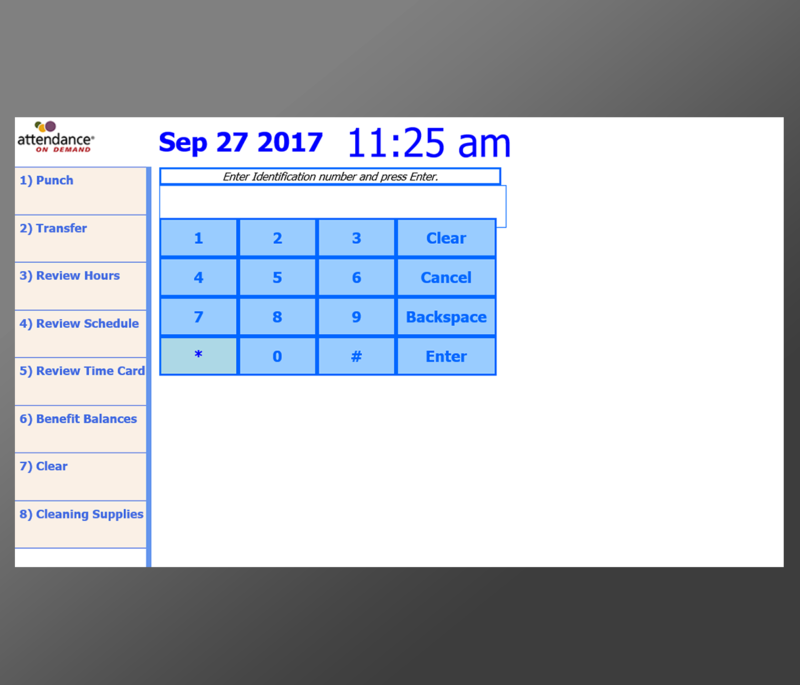 Buttons can be added or removed to fit your needs.